I don't even remember when I wore a black nail color. So you can imagine how long back that was. When I was in college 4 years ago, I was in a total goth phase and was ecastatic to wear black nail color. My mom was dead against it. She said I would look absolutely crazy. 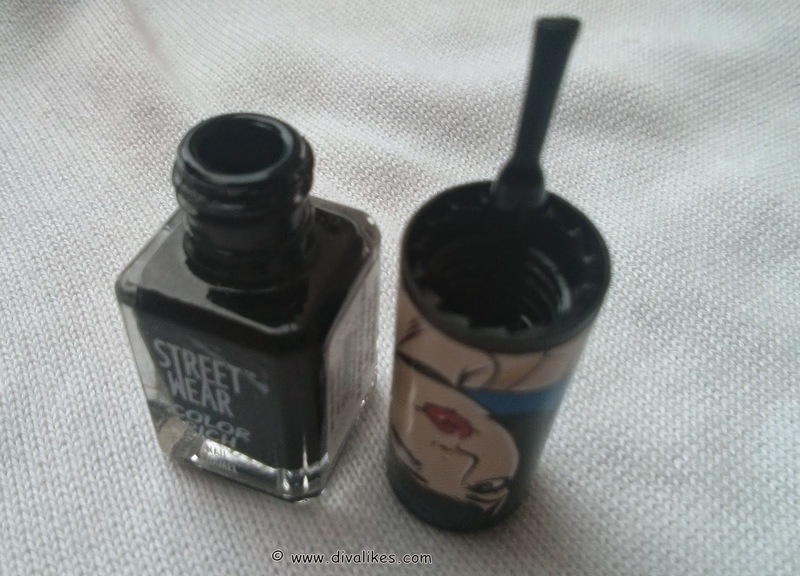 I still remember secretly sneaking a tiny bottle of Revlon black nail polish in the groceries bag. I wore it for so long that I finally got bored and got rid of it. After that, it's only now that I got a chance to give it a try again. Thanks Diva Likes for sending me Street Wear Color Rich Nail Enamel Black Magic in my haul. It is time to update your cosmetic kit this season with this Street Wear Color Rich Nail Enamel Black Magic. The nail enamel not only offers long-wearing, easy application, but also promise good coverage and colour saturation. Start from the base in upward direction. Color your nails to the tip. Let it dry. Apply a second coat for perfect finish & better result. 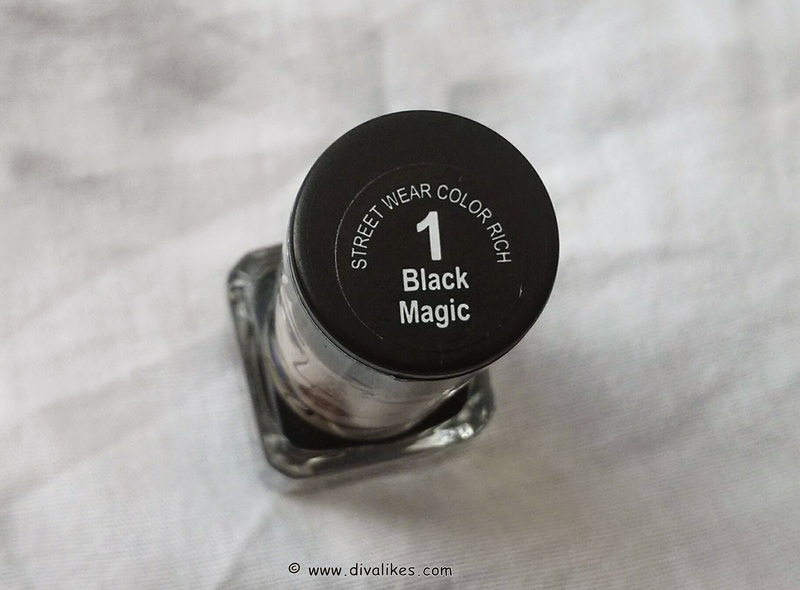 Street Wear Color Rich Nail Enamel Black Magic comes in a tiny glass bottle with a screw type plastic cap. The brush applicator is attached to the cap. The bottle is glass, hence obviously brittle. There is a high chance of the bottle breaking when dropped from a height. The bottle is see-through, showing the color and content of the product within. The shade is nothing but jet-black, almost like coal. The consistency of the product is nice and thin making it very easy for application. 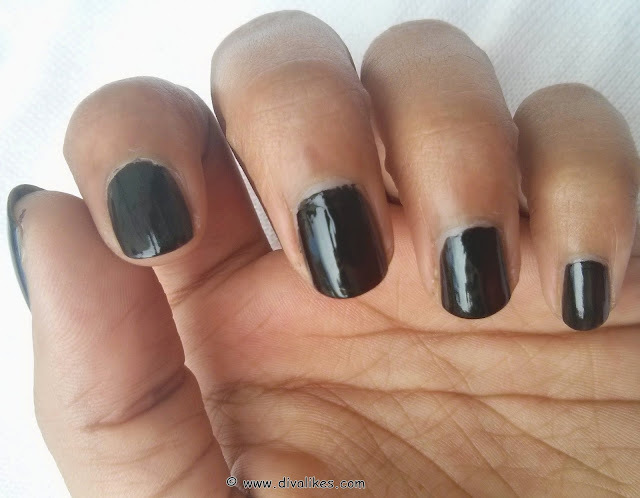 One dip is sufficient for one coat but to get that bold black colored nails you require 2-3 dips. I am okay with several dips as long as the consistency is thin. 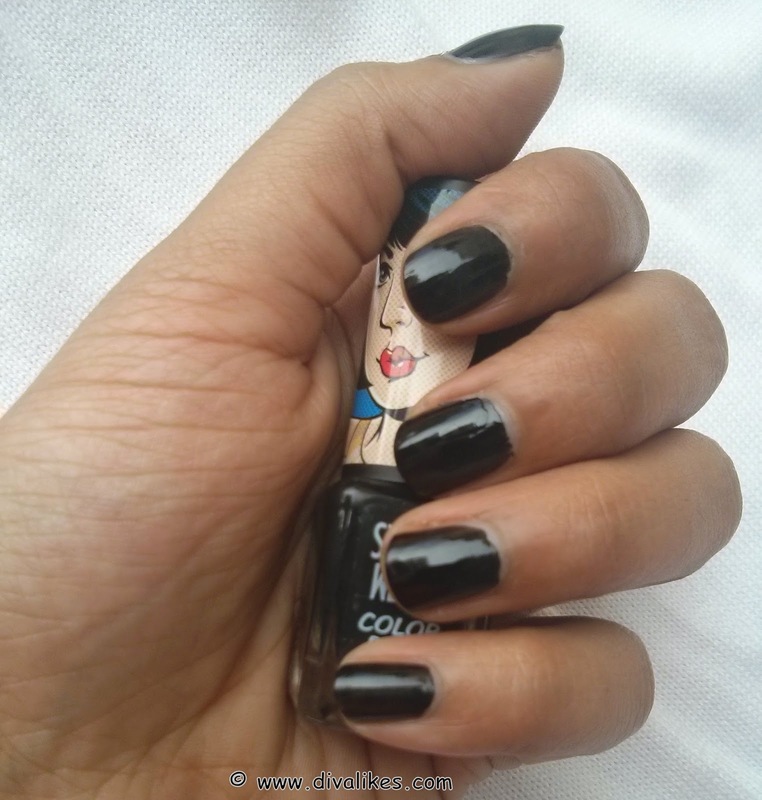 The shade is very opaque and so just one coat is great for the perfect finish. This is not just because of the consistency but also due to the shade. I am in love with this shade and would keep using it as often as i can. Sturdy packaging, if not for being glass. Black Magic is a beautiful black shade. I love the consistency of the nail enamel. The glass bottle can break easily. It is a great product and those who are okay with the boldness of the shade will just love it. I am just crazy about this nail color. 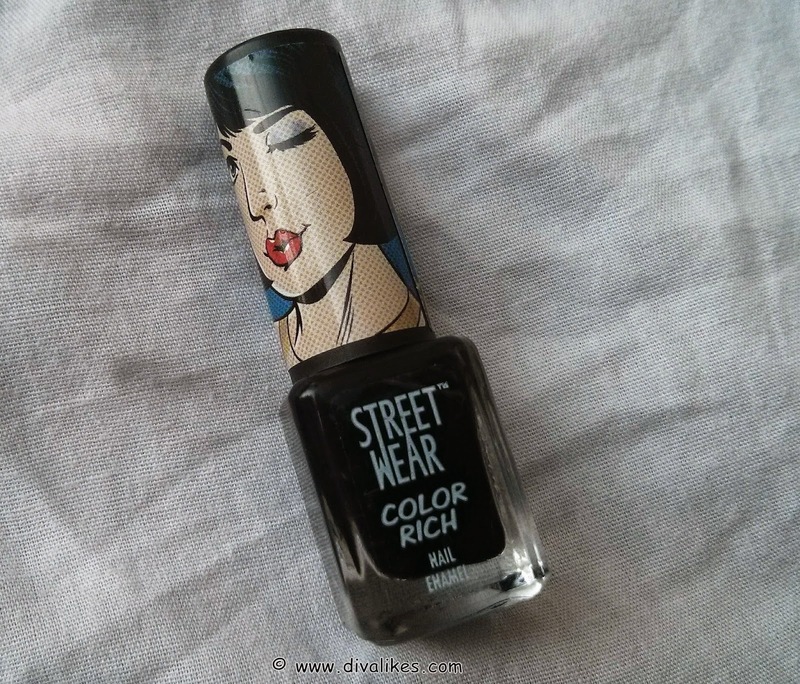 I love the current street wear nail color packaging.....its so chic & girly! This shade looks good to me too. Yeah Lavs :D It's adorable!